I would have put substantial money on the fact that after today’s crisp fall like weather, some of you started getting excited for fall style. I know, I know we still have a good amount of time to enjoy the sun, but come on you have to be a tiny bit amped for pumpkin flavored coffee and tweed jackets? Fall is the perfect time of year to be in NYC. It’s a time when wearing a blazer and jeans is all you need to be outside and it feels great. 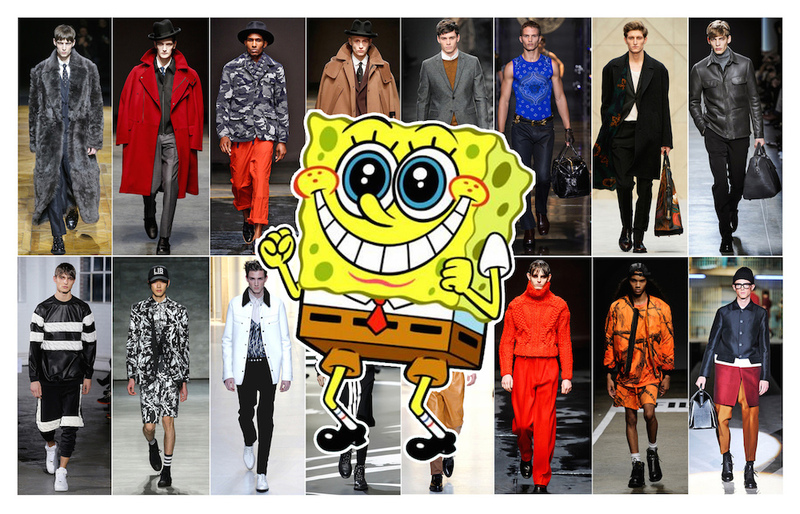 So while day dreaming about the crisp season today, I decided to reflect on 5 trends I noticed on the Fall/ Winter 2014 runways that I’m super excited to see on the streets. After having just re-watched “The Godfather” for the first time in 5 years, this may quite possibly be one of my favorite looks. 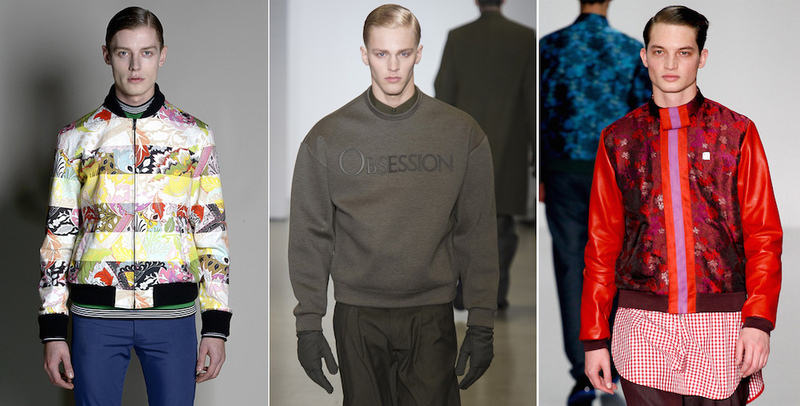 A polished and retro gangster sensibility was prolific on the catwalks at Dior Homme, E Tautz, Oliver Spencer and YSL. 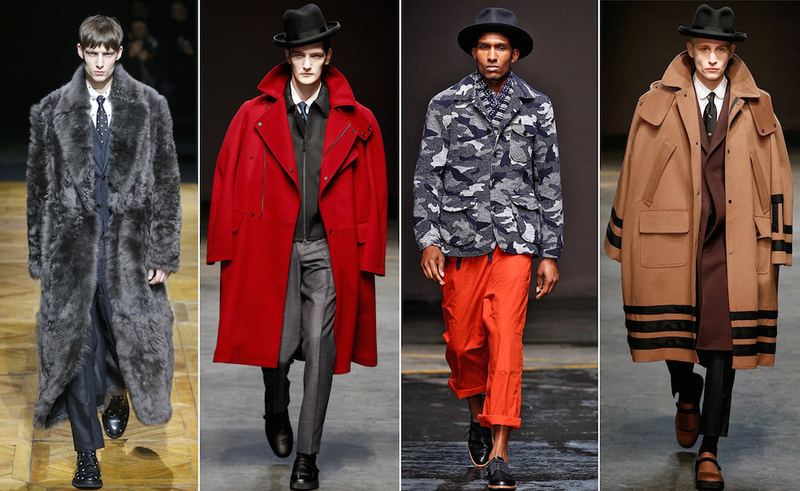 If a long fur coat and a loose layered suit isn’t your game, get yourself a killer felt fedora. So please if there is anything to take away from this rebellious dapper look, it’s all about the hat. Boys, if you have been riding that “flowers in your beard” wave time to break out the weed wacker. This fall I am thrilled to start seeing slicked back ‘dos and clean-shaven faces on the streets. I was quite over the beard craze two days after it started. Despite the show’s wonderful lack of real fashion, “Orange Is the New Black” may still be responsible for managing to keep a style trend alive. 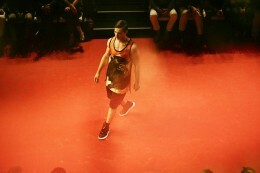 3.1 Phillip Lim, Topman Design, V Files and Desigual played with the hue in various temperatures. 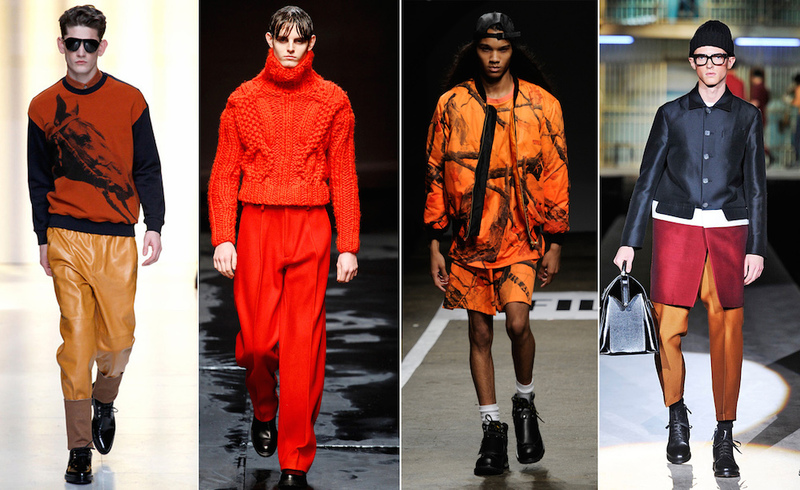 Lim provided one of my favorite examples, pairing amber leather jogging pants with a blood orange colored sweatshirt showing a great way to add depth and some warmth to your winter get-up. 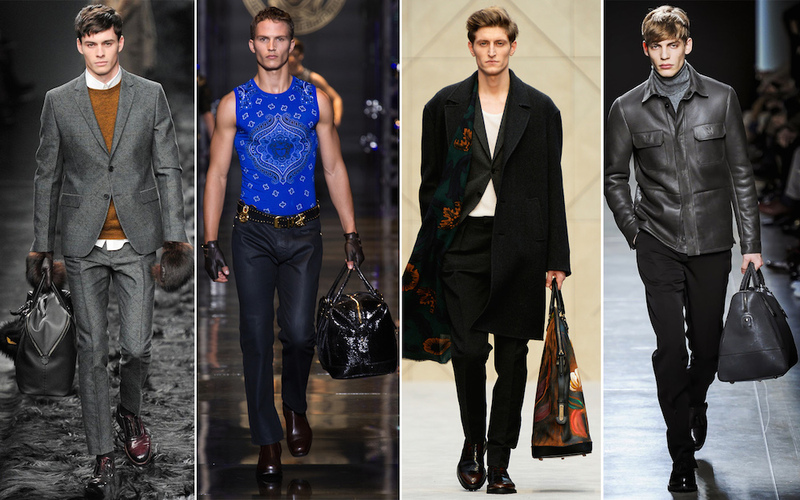 Big bags are still very much a part of the menswear agenda this fall, and speaking as someone who enjoys carrying a change of clothes, shoes and my laptop everywhere, I couldn’t be happier. So thank you Fendi, Burberry, Bottega Veneta and Versace for allowing me to embrace my inner hoarder. 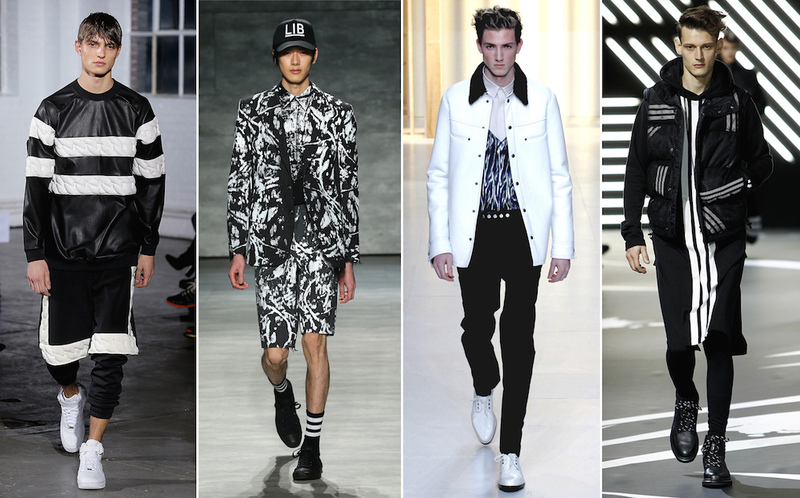 Seeing black and white ensembles on fall and winter runways is far from shocking. Something that did surprise me this season however was seeing an array of designers that typically love color go for bold black and white looks. The two muted colored together is always a classic, but if you’re going to get ahead of the game try a bold print. 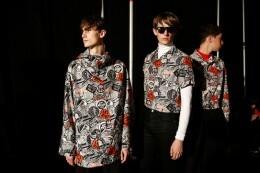 From Tom Ford and Kye to 3.1 Phillip Lim and Y3, killer black and white monochrome patterns cropped up across the board. Slip behind the scenes with us. If you’re in New York City right now and not in a bad mood you are either thinking of spring, or, drunk.